Would you like someone to show you specific ways you can sell more books? Would you like one-on-one help to create and execute a plan to use your book to grow your business? Would you like to finally see all the time, effort, and money you poured into writing and publishing your book pay off? I’m Author Coach Candice L Davis. I know exactly what you’re going through. I’ve helped dozens of my clients find ways to use their books to get speaking engagements, land media appearances, get more clients and customers, and be seen as the expert. All too often, I meet authors who want to write another book–even though they haven’t gotten results with the first one. Their book isn’t selling, and they think it’s because the book wasn’t good enough in the first place. Or they think no one is calling them to sit on the couch and talk to Oprah about their book because the book is too old. Or the cover wasn’t good enough. Or the book should have been shorter or longer. They beat themselves up because, after the launch party, their book sales dropped to almost nothing and there were no new clients knocking on the door. Some of them hit #1 in their Amazon category. Some of them did a blog tour or a podcast tour. Some of them even did book signings in cities across the country. But at the end of the day, their book didn’t do nearly as much for their business or their bank account as they’d expected. Are you enjoying steady book sales? Did your book help you get recognized as an expert in your industry or your niche? Did it help you become the influencer you know you can be? Do you feel satisfied with the results your book is getting for you? Or do you know you can do so much more? It sometimes seems only a select few authors have any real success with their books. They’re the ones you see everywhere. They’re on the Today show and Good Morning America and make the rounds of the daytime talk shows. Or they’re on every podcast you listen to while you fit thirty minutes of exercise into your day. Those are the same authors who seem to own the bestseller lists. And you can’t help but imagine they’re getting big fat royalty checks every month. So what are you missing? Why isn’t your book doing even a fraction of all that good stuff for you? You can’t wait for people to find your book. Your book has to find them. It doesn’t matter how old your book is. You can still use it to earn more money and grow your business. Your book can help you get media interviews–if you know how to use it. You deserve to earn money with your book. There’s no limit on what you can use your book to create in your life. Book sales are just the tip of the iceberg. Your book can do so much more for you! If you’re ready to make the most of your book, l can show you how. Define your unique vision of author success. Create a plan to get you there. Discover new ways to monetize your book. Learn new strategies to execute on your vision. Take action to get you there–one step at a time. It’s really all about you and what you want your book to do with you. 6 one-on-one coaching calls with me. Daily email or messaging access to me between calls. Access to any of my resources and materials that can help you reach your goals. Just enough accountability to keep you on track. It’s your time to claim everything you wanted when you first sat down to write your book. 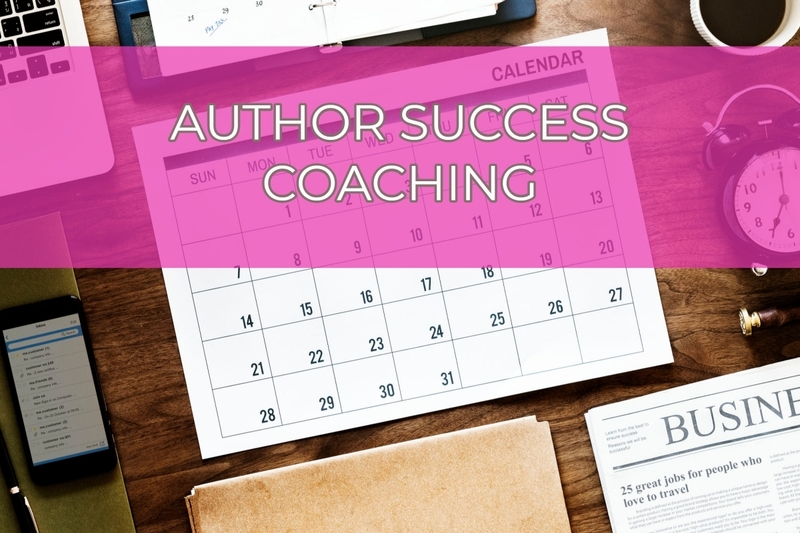 Click the button below to book a complimentary discovery call and find out if one-on-one Author Success coaching is right for you.